You are here: Home Forum Home Alumi-Classics Arkansas Traveler model designation? 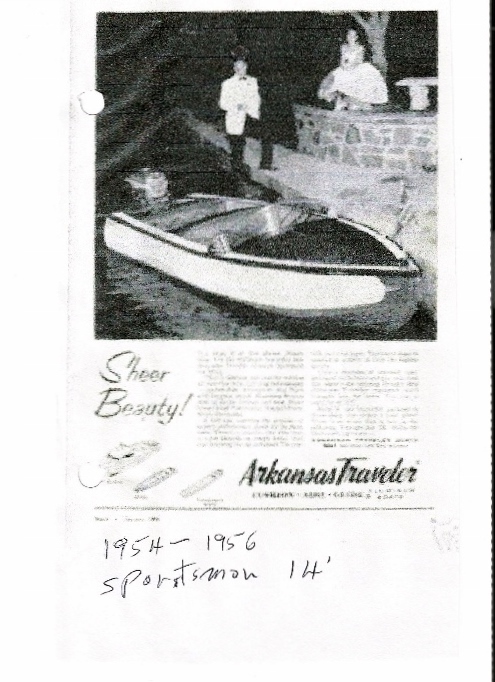 TOPIC:	Arkansas Traveler model designation? 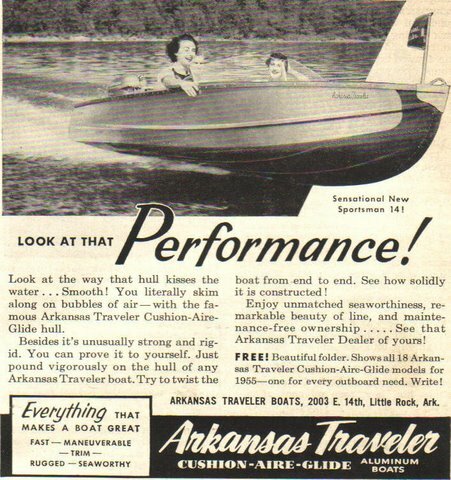 Looking for a year & model on this Arkansas Traveler boat. They started building in 1947. I figure it is early as rear cockpit boats went out of style in the early '50s. The serial number shows up in the photos as 16546. No model number is stamped that I can see. The boat is 13' 7" LOA & 60" beam. AT data information does list a model like that just can't find a photo to confirm the exact model. Boat is at the end of the link. From a response I have gotten the boat appears to be a 1955 DUT-14. That would make the dimensions 13' 8" LOA 62" beam. I am a big guy so every little bit helps! Thanks for looking. I would still like input on the model of Tee Nee trailer? Thanks to this site & members I have figured out which bearings, seals, & wheels to take with me. Thanks again! Since I bought the boat he has taken the photos down. We think it is a DUT-14. The boat is 13' 8" LOA X 62" wide. It has rear cockpit steering, but also two cockpits. It doesn't look like your model with the windshield, but who knows till I see it. I will send pictures as soon as I lay eyes on it. Near Tomahawk tonight. Thanks! Another photo of a boat like mine. Hugh; That could be the way mine is? I just can't say. I didn't save the pictures myself & they have been taken down now. 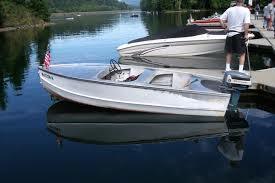 I am in Tomahawk & the boat will be delivered tomorrow afternoon. My steering is in the rear compartment for sure. I will get pictures when I get my hands on it. Pics to follow. Thanks!